The steam engine called Mayflower came through South Tottenham station this morning. It was the first steam special along the Gospel Oak to Barking Line since the recent electrification. Intriguingly, the locomotive is younger than I am and it has probably had better TLC than I have had in the last seventy years. The crowd at the station wasn’t that large, but I don’t think there was that much publicity, outside of enthusiasts and the Barking – Gospel Oak Rail Users Group. As an engineer, I think that the enlightened policy of allowing heritage steam and diesel locomotives to use the main line, is a good one. If it encourages bright students to become engineers, all the investment will be repaid in the long term. The title of this post is the same as that as this article on Rail Technology Magazine. This is the first three paragraphs of the article. 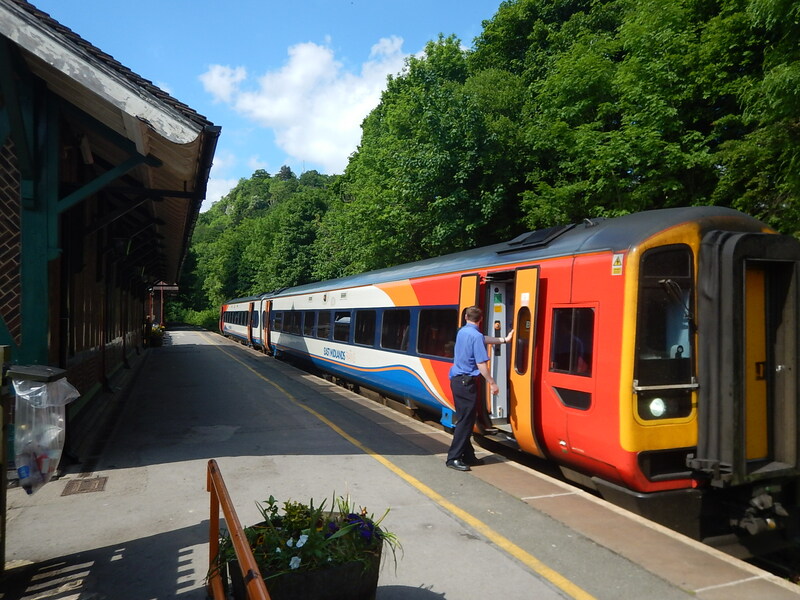 Groundbreaking emission-reducing technology is to be fitted to South Western Railway (SWR) train units as part of a new trial aiming to cut down harmful emissions from diesel trains by 80%. Porterbrook is working in partnership with exhaust manufacturer Eminox to carry out the trial, with the DfT supporting the rolling stock company’s investment. This will see South Western Railway’s Class 159 diesel units fitted with a first-of-its-kind emissions control device, with plans to roll out the technology to hundreds of diesel trains across the UK’s rail network. I have looked up Eminox on their web site. This is the mission statement on the front page. While politicians dither and fiddle, engineers engineer, with a little bot of help from Porterbrook and the DfT. If this technology proves to be successful, I can see its application to large numbers of diesel trains around the world. The title of this post is the same as that of this article on Mining Technology. These are some points from the article. Yorkshire is the world’s only source of mined polyhalite. A 32 km. tunnel is being dug to bring the plyhalite to Wilton on Teesside. At 1.5 km deep, it will be the deepest mine in Europe. It is a fascinating read, which lays out the financing and engineering of one the biggest projects in the UK. In Thoughts On A Battery/Electric Replacement For A Class 66 Locomotive, I looked at an electro-diesel freight locomotive with batteries instead of a diesel engine, as a freight locomotive. It would have the size and weight of a Class 70 locomotive and perhaps use similar technology to Stadler’s Class 88 locomotive. I concluded the article like this. It would be a heavyweight locomotive with a performance to match. I believe that such a locomotive would be a very useful addition to the UK’s fleet of freight locomotives. Stadler have not produced a battery/electric replacement for a Class 66 locomotive, but they have added a diesel/electric/battery Class 93 locomotive with a heavyweight performance to their Class 68/88 or UKLIGHT family of locomotives built at Valencia in Spain. Details of the locomotive are given in this article in Rail Magazine, which is entitled Rail Operations Fuels Its Ambitions With Tri-Mode Class 93s. There is also a longerand more detailed article in the print edition of the magazine, which I purchased today. Reading both copies of the article, I can say the following. At a first glance, the Class 93 locomotive appears to be a more powerful version of the Class 88 locomotive. The power on electric mode is the same in both locomotives at four megawatt. It would probably use the same electrical systems. Some reports give the diesel power of the Class 93 locomotive as 1.34 MW as opposed to 0.7 MW of the Class 88 locomotive. The Class 93 locomotive has a top speed of 110 mph, as opposed to the 100 mph of the Class 88 locomotive. It would also appear that much of the design of the two locomotives is identical, which must make design, building and certification easier. Much of the article is an interview with Karl Watts, who is Chief Executive Officer of Rail Operations (UK) Ltd, who have ordered ten Class 93 locomotives. He says this. However, the Swiss manufacturer offered a solution involving involving an uprated diesel alternator set plus Lithium Titanate Oxide (LTO) batteries. Other information on the batteries includes. The batteries are used in regenerative braking. Batteries can be charged by the alternator or the pantoraph. Each locomotive has two batteries slightly bigger than a large suitcase. Nothing is said about the capacity of the batteries, but each could be a cubic metre in size. I have looked up manufacturers of lithium-titanate batteries and there is a Swiss manufacturer of the batteries called Leclanche, which has this helpful page that compares various batteries. The page gives an energy density of 120-200 Wh/Kg for their traditional lithium-ion batteries and 70-80 Wh/Kg for LTO batteries. But it gives LTO batteries a five-star rating, for charge power, discharge power and energy efficiency. Leclanche also have a product called a TiRack63, which is intended for industrial applications, such as. Providing short term power to cover the first seconds in a grid failure incident to industrial users. The battery has the following characteristics. 100 % depth of discharge. Charging and discharging at 300 Amps. These batteries with their fast charge and discharge are almost like supercapacitors. , It would appear that, if these batteries are used the Class 93 locomotive will have an energy storage capacity of 126 kWh. But this is said about Class 93 locomotive performance..
LTO batteries were chosen because they offer a rapid recharge and can maintain line speed while climbing a gradient, and will recharge when running downhill. Looking at the batteries, they could provide up to around 240 kW of extra power for perhaps half an hour to help the train climb a gradient and then recharge using regenerative braking or the diesel alternator. This is a hybrid vehicle, with all the efficiency advantages. The article does say, that with a light load, the locomotives can do 110 mph on hybrid. Nothing is said about what is a light load. Could it be a rake of five modern Mark 5A coaches? In Thoughts On A Battery Electric Class 88 Locomotive On TransPennine Routes, I said this. It is worth looking at the kinetic energy of a Class 88 locomotive hauling five forty-three tonne CAF Mark 5A coaches containing a full load of 340 passengers, who each weigh 90 Kg with baggage, bikes and buggies. This gives a total weight would be 331.7 tonnes. The kinetic energy of the train would be as follows for various speeds. The increase in energy is because kinetic energy is proportional to the square of the speed. There would be little difference in this calculation, using a Class 93 locomotive, which is only a tonne heavier. The kinetic energy at 110 mph, would be 112 kWh. This could be very convenient, as it looks like the battery capacity could be larger than the kinetic energy of a fully-loaded train. The article states that the locomotive will weight 87 tonnes, as opposed to the 86 tonnes of a Class 88 locomotive. As both locomotives have four axles, this would mean that their axle loading is almost the same. So anywhere the Class 88 locomotive can go, is most likely to be territory suitable for the Class 93 locomotive. Again, this must make certification easier. In a rail forum, members were saying that the Class 93 locomotive has a modular design. So will we see other specifications with different sized diesel engines and batteries? The TransPennine routes, for example, might need a locomotive with a smaller diesel engine, more battery capacity and a 125 mph-capability for the East Coast Main Line. Stadler have said they specialise in niche markets. Have they developed the tailor-made locomotive? These are various UK locomotives and their power levels in megawatts. The interesting figure, is that the Class 93 locomotive has 76 % of the diesel power of a Class 43 locomotive from an InterCity 125. The difference could probably be made up using battery power, where needed. Could The Locomotive Be Uprated To 125 mph? The UK has successfully run 125 mph Class 43 and 91 locomotives for many years. Stadler has built trains that run at that speed. Mark 3, Mark 4 and Mark 5A coaches are all certified for 125 mph. There are hundreds of miles of track in the UK, where 125 mph running is possible. I would think it very unlikely, that the engineers designing the Class 93 locomotive, ruled out the possibility of 125 mph running in the future! Could A Battery/Electric Version Of The Locomotive Be Created? The diesel engine, fuel, exhaust and cooling systems and some ancilliary systems could all be removed and be replaced with an equivalent weight of batteries. As the C27 diesel engine in a Class 88 locomotive weighs almost seven tonnes, I suspect a ten tonne battery would be possible. Given the current typical energy density and using the Leclanche figures, this would mean that thr batteries would have a total capacity of around 700-800 kWh. The Rail Magazine article goes on to detail some of the uses of a Class 93 locomotive. They can operate express freight. In Europe, there are vehicles capable of 100 mph running, and these are perfect for high-speed domestic freight. We have been running intermodals at 75 mph since the 1960s – It’s time to change that. The locomotive would certainly be able to haul express freight at 100 mph on an electrified main line. This would greatly help with freight between Felixstowe and London on the 100 mph Great Eastern Main Line. Running freight trains at 100 mph on the major electrified lines would increase capacity, of the lines. Ports and freight terminals wouldn’t need to be electrified. Overall, the proportion of freight mileage, where electric power was used, would grow significantly. In Thoughts On A Battery/Electric Replacement For A Class 66 Locomotive, I gave a list of typical gaps in the electrification in the UK. How many of these gaps could be bridged by a Class 93 locomotive working in a diesel hybrid mode? It should be noted, that many of the busiest gaps are in the flatter Eastern areas of England. I’m sure Stadler and Rail Operations Group have done extensive simulation of possible routes and know where the locomotives are best suited. I suspect that several of these locomotives will end up replacing duties currently done by Class 66 locomotives. It could haul an intermodal freight from Felixstowe to Manchester, Liverpool, Glasgow or Doncaster, using electrification where it exists. And do it at a speed of 100 mph, where speed limits allow! No other locomotive on the UK network could do that! Near to where I live there are two electrified lines passing through North London; the North London Line and the Gospel Oak To Barking Line. Both lines have several freight trains a day passing through, that are still hauled by diesel locomotives. 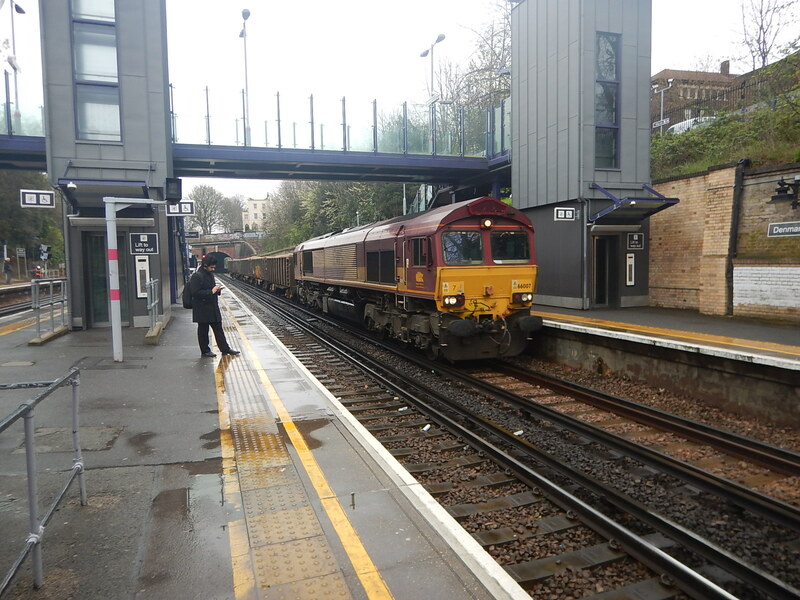 There are other urban freight routes around the UK, where despite electrification, polluting diesel locomotives are still used. Class 93 locomotives would be an ideal environmentally-friendly replacement locomotive on these routes. They can be used for network recovery as a more comprehensive Thunderbird. Currently, stand-by locomotives are hired or used by an operator to rescue its own trains, but these would be available for anything or anyone. I have sopken to Network Rail about this and they need convincing. But as the network gets busier, so it will be that one failure causes chaos. Perhaps, a better method for recovering failed trains could be developed. I can say that the 93s’ feature n two franchise bids, although I cannot say which, due to non-disclosure agreements. Class 93 locomotives could replace the Class 68 locomotives on TransPennine Express services between Liverpool and Scarborough, where Mark 5A coaches will be used. Electric mode could be used between Liverpool and Stalybridge and on the East Coast Main Line. Diesel or hybrid mode would be used where needed. If the locomotives could be uprated to 125 mph, that would help on the East Coast Main Line. There are certainly, redundant Mark 4 coaches or new Mark 5A coaches that could be used to provide services. The InterCity 125 is a masterpiece of engineering, that passengers love. One of the reasons for the success, is the superb dynamics of the train, which gives them a very comfortable ride. Could it be that by putting two Class 93 locomotives at each end of a rake of suitable coaches could create a 125 mph train, with the same faultless dynamics? The answer is probably yes, but in many cases either half-length trains or bi-mode multiple units may be a more affordable or capable train. The locomotive certainly gives a lot of flexibility. This is going to be a very useful locomotive. This was the last paragraph of the printed article, as spoken by Karl Watts. I don’t think I will be ordering only ten or 20 – there will be more. I have registered 93001 to 93050. The word hybrid opens the door. I think this might be the third member of a very large and widespread family. From various sources like the Wikipedia entry for the Class 170 train and various datasheets and other Internet sources, I will try to get the feel of Class 170 train, that has been fitted with two MTU Hybrid PowerPacks. For the purpose of this post, I shall make the following assumptions about the Class 170 train. The train has two cars, each with their own engine. The train has a capacity of 150 passengers. The train weighs 90.41 tonnes. The train has an operating speed of 100 mph. After conversion each car will have MTU Hybrid PowerPack with a 6H 1800 engine. The data sheet for the MTU Hybrid PowerPack with a 6H 1800 engine, indicates the following. Up to four 30.6 kWh batteries can be added to each module. Each battery weighs 350 Kg. Various sizes of diesel engine can be specified. The smallest is a 315kW unit, which is the same size as in a current Class 170 train. If I assume that the two diesel engines weigh about the same, then any increase in train weight will be down to the batteries, the mounting, the traction motor and the control systems. But the hydraulic system will be removed. I will now calculate the maximum kinetic energy of a fully-loaded train, that is travelling at maximum speed. The train is travelling at 100 mph. Using the Omni Kinetic Energy Calculator gives a kinetic energy of 28.84 kWh. So even if only one battery is fitted to each engine, there will be 61.2 kWh of energy storage per train, which will probably be more than enough to handle the regenerative braking. The hybrid PowerPack will probably add some extra weight to the train. Even if I up the total train weight to 120 tonnes, the kinetic energy is still only 33.33 kWh. So half this amount of energy can easily be stored in a 30.6 kWh battery in each car. I would be very surprised, if this train needed a larger engine than the smallest 315 kW unit and more than one battery module in each car. Does The MTU Hybrid PowerPack Work As A Series Hybrid? In a series hybrid, the operation is as follows. The diesel generator charges the battery. The battery drives the train using the traction motor. During braking, the electricity generated by the traction motor is returned to the battery. If the battery is full, the regenerative braking energy is passed through resistors on the train roof to heat the sky. There will also be a well-programmed computer to manage the train’s energy in the most efficient manner. For a full explatation and how to increase the efficiency read the section on series hybrid, in Wikipedia. I’m fairly certain that the MTU Hybrid PowerPack works as a series hybrid. Will The Train Performance Be Increased? I suspect the following improvements will be achieved. Acceleration will be higher, as it seems to be in all battery road vehicles. Braking will be smother and the rate of deceleration will probably be higher. Station dwell times will be shorter. Noise levels will be reduced. This video explains the thinking.behind the MTU Hybrid PowerPack. These trains will be liked by passengers, train operators and rail staff, especially if they enable faster services. Will The MTU Hybrid PowerPacks Be Difficult To Install? MTU built the original engines in the Class 170 trains and their must be well over two hundred installations in this class of train alone. So in designing the PowerPack, it would be a very poor team of engineers, who didn’t design the PowerPack as almost a direct replacement for the existing engine,. Fitting the new PowerPacks then becomes a question for the accountants, rather than the engineers. As both a UK and a German project have been announced in the last few days, it looks likely that MTU have come up with a one PowerPack fits all their old engine installations solution. This project could be a really successful one for MTU and their owner; Rolls-Royce. Yesterday’s edition of Countryfile on BBC1, was entitled Royal Special: Windsor. In the program, they shows how Windsor Castle and the surrounding estate, use an Archimedes screw in the River Thames to generate electricity. I found this video on the Internet. There is also this document on the Internet. It may look crazy, but after reading the document, it would appear to be cost effective. This Google Map gives aerial view of the weir and the installed screws. The two screws are installed in two sections of the weir at the right end. At peak flow the two units generate a total of 320kW/hour. There is a six year return on investment. The design life is fifteen years.. The owner of the generators has a forty year lease on the site. I suspect, we could see more units like this! The title of this post is the same as that, of this article on Rail Technology Magazine. The article described how by using a more sophisticated tamping machine, Network Rail are able to hand the track back faster after maintenance. Many businesses, as Network Rail do here, use outdated processes to do regular tasks. Often by using an improved procedure, companies can save money. In this instance, Network Rail are saving enough in a year to perhaps build a small station. Can you be sure, you use the best processes in your business? This article in Rail Magazine, is entitled Bombardier Bi-Mode Aventra To Feature Battery Power. Could the better ambience be, because the train doesn’t use noisy and polluting diesel power, but clean hydrogen? It’s a possibility, especially as Bombardier are Canadian, as are Ballard, who produce hydrogen fuel-cells with output between 100-200 kW. Ballard’s fuel cells power some of London’s hydrogen buses. The New Routemaster hybrid bus is powered by a 138 kW Cummins ISBe diesel engine and uses a 75 kWh lithium-ion battery, with the bus being driven by an electric motor. If you sit in the back of one of these buses, you can sometimes hear the engine stop and start. Ballard can do this power output with hydrogen and I’m sure that to do it with a diesel engine and alternator is not the most difficult problem in the world. Let’s look at the mathematics! The train is five cars, with say four motored cars. The empty train weighs close to 180 tonnes. There are 430 passengers, with an average weight of 80 Kg each. This gives a total train weight of 214.4 tonnes. The train is travelling at 200 kph or 125 mph. A diesel or hydrogen power pack is available that can provide a controllable 200 kW electricity supply. These figures mean that the kinetic energy of the train is 91.9 kWh. This was calculated using Omni’s Kinetic Energy Calculator. My preferred battery arrangement would be to put a battery in each motored car of the train, to reduce electrical loses and distribute the weight. Let’s assume four of the five cars have a New Routemaster-sized battery of 55 kWh. So the total onboard storage of the train could easily be around 200 kWh, which should be more than enough to accommodate the energy generated , when braking from full speed.. I wonder if the operation of a bi-mode with batteries would be something like this. The batteries would power everything on the train, including traction, the driver’s systems and the passenger facilities, just as the single battery does on New Routemaster and other hybrid buses. The optimum energy level in the batteries would be calculated by the train’s computer, according to route, passenger load and the expected amount of energy that would be recovered by regenerative braking. The batteries would be charged when required by the power pack. A 200 kW power pack would take twenty-seven minutes to put 91.9 kWh in the batteries. In the cruise the power pack would run as required to keep the batteries charged to the optimum level and the train at line speed. If the train had to slow down, regenerative braking would be used and the electricity would be stored in the batteries. When the train stops at a station, the energy created by regenerative braking is stored in the batteries on the train. I suspect that the train’s computer will have managed energy, so that when the train stops, the batteries are as full as possible. When moving away from a stop, the train would use the stored battery power and any energy used would be topped up by the power pack. The crucial operation would be stopping at a station. I’ll assume the example train is cruising at 125 mph with an energy of 91.9 kWh. The train’s batteries have been charged by the onboard generator, on the run from the previous station. But the batteries won’t be completely full, as the train’s computer will have deliberately left spare capacity to accept the expected energy from regenerated braking at the next station. At an appropriate distance from the station, the train will start to brake. The energy of the train will be transferred to the train’s batteries, by the regenerative braking system. If the computer has been well-programmed, the train will now be sitting in the station with fully-charged batteries. When the train moves off and accelerates to line speed, the train will use power from the batteries. As the battery power level drops, the onboard generator will start up and replace the energy used. This sequence of operations or something like it will be repeated at each station. One complication, is that regenerative braking is not one hundred percent efficient, so up to thirty percent can be lost in the braking process. In our example 125mph train, this could be 27.6 kWh. With an onboard source capable of supplying 200 kW, this would mean the generator would have to run for about eight and a half minutes to replenish the lost power. As most legs on the proposed routes of these trains, are longer than that, there shouldn’t be too much of a problem. If it sounds complicated, it’s my bad explanation. This promotional video shows how Alstom’s hydrogen-powered Coradia iLint works. It looks to me, that Bombardier’s proposed 125 mph bi-mode Aventra will work in a similar way, with respect to the batteries and the computer. But, Bombardier Only Said Diesel! The Rail Magazine article didn’t mention hydrogen and said that the train would be able to run at 125 mph on both diesel and electric power. I have done the calculations assuming that there is a fully-controllable 200 kW power source, which could be diesel or hydrogen based. British Rail’s Class 150 train from 1984, has two 215 kW Cummns diesel engines, so could a five-car bi-mode train, really be powered by a single modern engine of this size? A typical engine would probably weigh about 500 Kg and surely because of its size and power output, it would be much easier to insulate passengers and staff from the noise and vibration. For a five-car train, a battery capacity of 300 kWh would probably be sufficient.